This area displays rare books and periodicals collected by the Institute of History and Philology. Many are extremely rare, such as exemplary copies printed in the Sung dynasty; there are also genealogies of books, in which one single volume contains texts from different editions of the same work. In addition, there is a great amount of folk literature in the form of "song compendiums," as well as manuscripts and copies with handwritten commentaries by famous scholars. One of the most significant archival materials, the Ssu-k'u ch'üan-shu (The Complete Collection of Four Treasuries), is also included in the collection. 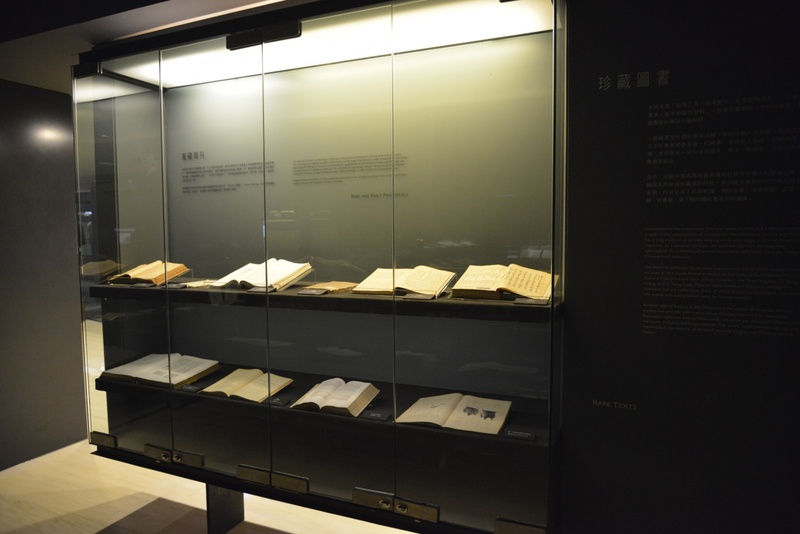 Here visitors are able to observe the editing process of the Ssu-k'u ch'üan-shu, as its very first edition and the many books from which it has drawn are presented side by side.